From a girl’s night out to boardroom attire to meeting the in-laws or nailing a black-tie event, creating the right sartorial look can be tricky. Luckily, we are on hand to talk you through how to achieve your desired look! Whether you are inspired by the catwalk, fashion icons, street style or thrift shop chic, take a look at our handy style guide. Nailing that all important work style is oh so crucial! Whether you work in retail or in an office, it is possible to get your trend on with ease. Do you work in an office? If so it’s pretty easy to achieve a standout look. Stylish dresses and classic separates, such as pencil skirts and ribbed skinny polo necks, will cover all your bases. Prefer something less fitted? A 50’s inspired midi skirt teamed with a collared blouse or Bardot top can look faultless. These days, it’s rare to see women in suits (unless their industry dictates it) but a sharp suit can look stunning and make you stand out from the crowd. Think Gucci meets Annie Hall for a slick, pulled together look. Do you work in the fashion industry, or can you get away with slightly less formal attire? Well, a pair of wide leg or skinny leg dark blue indigo jeans teamed with a fitted Breton top and heels, and of course, the obligatory pair of sunnies can take you from so-so to sophisticated in a snap. Enjoying a day out with friends? Why not team a midi dress with a pair of flat gladiator sandals, or dress it down with a pair of converse? This outfit will give you the flexibility to run around without having to compromise on your stylish look. Lunch with your beau’s parents? Whether you’re meeting them for the first time or just want to make a good impression, it’s important to wear something that you feel comfortable in. If this is simply a pair of jeans, then why not team it with a low pair of heels and a smart top? You can’t go wrong with a pretty, ditsy floral print, whether this is on a blouse, skirt or even a cute dress. Is it date night? Whether you are meeting up with your loved one for a much-needed night out or tackling that all-important first date, we are sure that you will want to make a stellar first impression. Whilst you don’t want to look like you have made a super huge effort, it’s wise not to go to the other extreme and look like you don’t really care. Balance is key, as is appropriately matching your outfit to the venue of your date, so why not plan your outfit in the first instance? Don’t forget about bags and shoes, too, because apparently one of the first things your date will notice about you is your accessories! Maybe you have a special night out at a casino coming up? As well as being a fantastic opportunity to show off your serious fashion credentials, they are also an awesome place to have fun and play a little poker too! Whilst most casinos have their own dress code, as a rule of thumb, it is always wise to over and not underdress on these occasions. You can wear a traditional cocktail dress, which will afford you a truly classic look or try something a little more on trend. This was not always the case, but clothing styles have certainly changed over the years and it isn’t the norm for gents to wear tuxedos, or women to wear ballgowns these days. From casual chic to sophisticated smarts and every look in-between, it has never been easier to make a sartorial statement with your look. Achieving a versatile capsule wardrobe will ensure that you can mix-and-match your clothes, giving you a fantastic selection of outfits that are ideal for every occasion. It’s never been easier to develop your own style – just don’t forget that your outfit should be worn, and it shouldn’t wear you! Trying To Make You Go To Shoe Rehab: What Pairs Do You Really Need In Your Wardrobe? 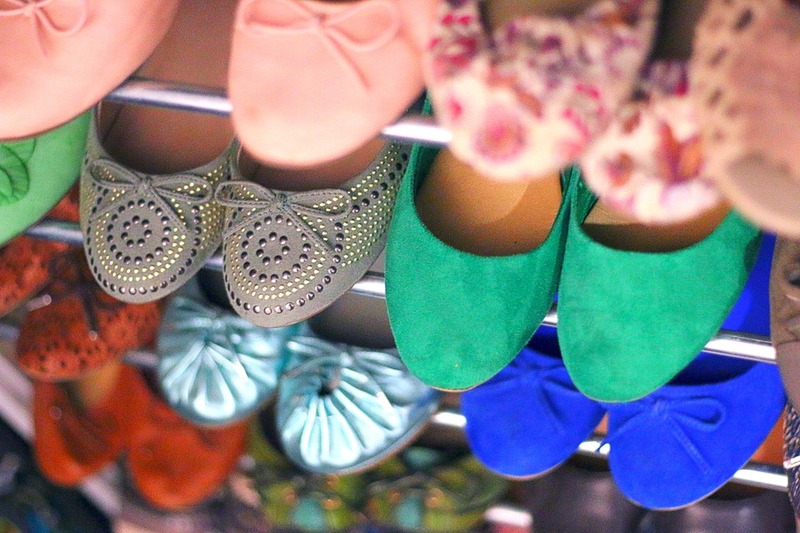 If there’s one thing us ladies are known for, it’s our love of shoes. And, while we’re all for breaking gender stereotypes, it’s got to be said that this one is often pretty on the nose. While the men in our lives seem to make do with one or two pairs, we can’t imagine coping with any less than…twenty? Okay, it isn’t always that bad. But, most of us do find that we can’t move for the shoes on our closet floors. After all, you want to have the perfect pair for each outfit you own, right? Before you know, things get out of control. What’s worse, you end up with pairs which only go with that one outfit you barely wear. But, who can complain about that when these babies look so beautiful all in a row? And, does anything beat that feeling of holding a brand new shoe box between your hands? There is, of course, one issue. You’re working with limited floor space. As such, there’s going to come a time when you need to get real about which shoes you actually need. Hence where shoe rehab comes in. Believe it or not, it’s possible to get by on far fewer pairs than you might imagine. By focusing on staple options with many purposes, you could slash your collection in a significant way. Of course, this is nothing new. There are websites all across the internet telling you about the ‘shoes you really need in your wardrobe’. But, most of these settle at around the ten-pair mark. Though it might not seem like it now, that’s still a pretty bad addiction! Especially when you consider your man’s nice little four-shoe collection. But, we think we may have solved the issue by taking things down to five. That’s right; we really are saying you could get by on five pairs of shoes. All you need to do is read on to find out how. *This Post contains affiliate links for which I will be compensated when purchases are made. Today – pick from a variety of colors and styles of pants for ONLY $16.00 a pair! That’s 2 For $32.00 w/code: 2FORPANTS! Throw on your favorite tee and slides and you are ready for any occasion! It’s just what Tuesday needs! Throw on your favorite tee and slides and you are ready for any occasion! It’s just what Tuesday needs! The code is 2FORPANTS Making each pair of pants only $16.00 when 2 pairs are purchased. Shop this fab pants sale here: 2 for Tuesday – 04/24/18 – Multi Colorful Pants – 2 Pairs for only $32.00! + FREE Shipping! W/CODE: 2FORPANTS.